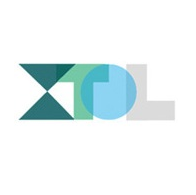 XTOL.Careers is a partnership between the Professional Development Center at the University of Texas at Austin and Experiential Teaching Online (XTOL) to offer skills-based career technology programs. These programs are a combination of online collaborative learning, individual projects, and in-person 1-on-1 mentorship. At the end of the program students will leave with a certificate of completion and a professional portfolio. The Certificate in Agile Web Application Development in Ruby on Rails is a human-mentored, web-based program that focuses on developing skills through realistic professional scenarios and projects. This program uses a Story-Centered Curriculum approach that simulates real-life situations; you’ll develop software to satisfy real-world types of user and customer needs. Guided by skilled faculty mentors, you’ll focus on a core set of software development skills. Using a Story-Centered Curriculum approach, you will perform different tasks as a data analyst. First, you will use statistical machine learning techniques to evaluate online customer sales and market research data to provide insight into customer buying patterns and preferences. Your evaluation of this data will help the sales team make data-driven decisions about what products to offer and how to offer them. Next, you will perform a sentiment analysis of an extremely large data set utilizing cloud-based computing, machine learning tools, and the Common Crawl of the World Wide Web. The Professional Development Center at the University of Texas at Austin has partnered with Experiential Teaching Online (XTOL) -- to offer four skills-based technology career programs. An email with these details has been sent to XTOL.Careers. You've already applied to this scholarship with XTOL.Careers.